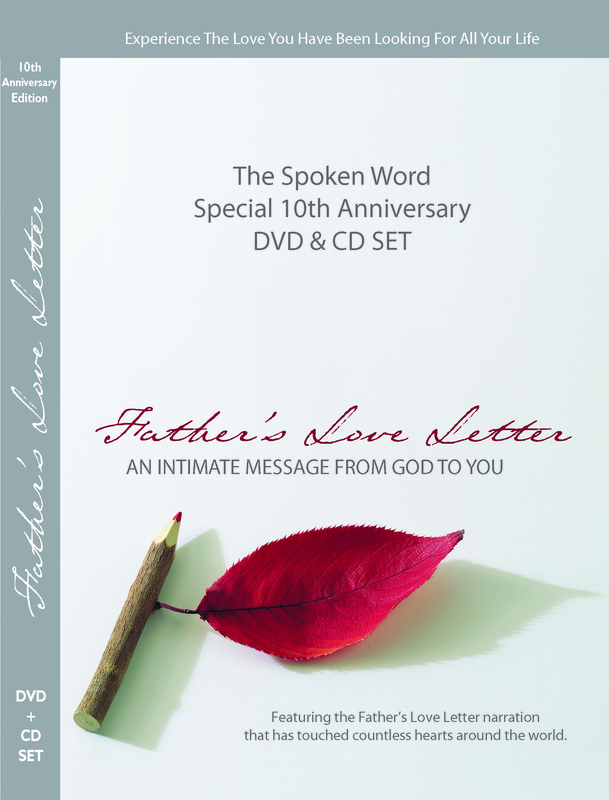 Ten years ago, we created this special 10th Anniversary DVD & CD Set features the 2001 narration version of the Father's Love Letter in both DVD video and CD audio formats. 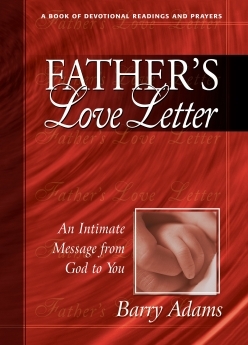 This set also includes a collection of other inspirational recordings created to draw you closer to the Father's heart. Note: This DVD includes the extended 10 minute narration and instrumental versions of Father's Love Letter but does NOT include any other FLL versions. ​click on the button below, visit CrownEntertainment.us or call 1-866-791-0504. 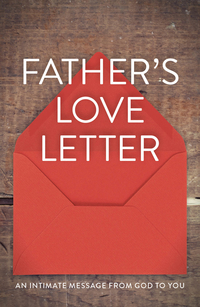 Published by Moody Publishers, this full-color hard cover gift book contains fifty seven powerful devotional thoughts for each line in the Father's Love Letter. Every devotional thought also includes a prayer that will help the reader express into words a response to Father God. There is much focus on the Kingdom of God in church culture today. But who does God consider the greatest in His Kingdom? Who did Jesus say the Kingdom belongs to? Who does the Father delight to reveal it to? If you answered, 'little children, you would be right. In this new book, Barry shares how the Father's love has freed him from a lifelong pursuit of performance based Christianity. Now he enjoys a simpler, fuller life as a much loved little boy with a BIG Dad. That Work For Little Kids! This new full color 80 page 7"x10" comic book is a simplified summary of the book 'The Kingdom Belongs To Little Children' and has been created to speak to the little child in YOU! It contains 70 attributes that little children intuitively express that adults could definitely benefit from too! In a nutshell, this colorful comic book simply illustrates why little kids are considered the greatest in GOD'S Kingdom. We hope it encourages and inspires you on your own journey to grow down in your Abba's Kingdom so that you can grow up into all that He has prepared for you! This 188 page full color comic book contains 184 cartoons that explore what the gospel looks like through the eyes of childlike wonder. We hope these simple cartoons make you smile and remind you that at the end of the day, we are all just little boys and girls who need to be loved!